OK, granted, that person is Questlove, who’s been working intimately with D’Angelo for over a decade, including on recording sessions for this 13-years-in-the-making, as-of-yet-unnamed comeback album. And so, yes, when Questlove tells us D’s new one is not only nearly done, but also incredible — “It’s potent. It’s funky. It’s an extremely hard pill to swallow,” he gushed to Billboard on Monday — we listen. 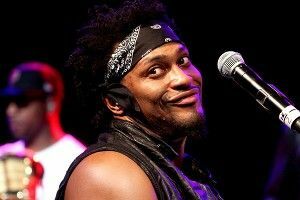 But let’s not forget that Quest is the same guy who’s been explicitly mind-gaming D’Angelo into releasing his album for a while now. Grading the Top 10 in ... TRINIDAD!